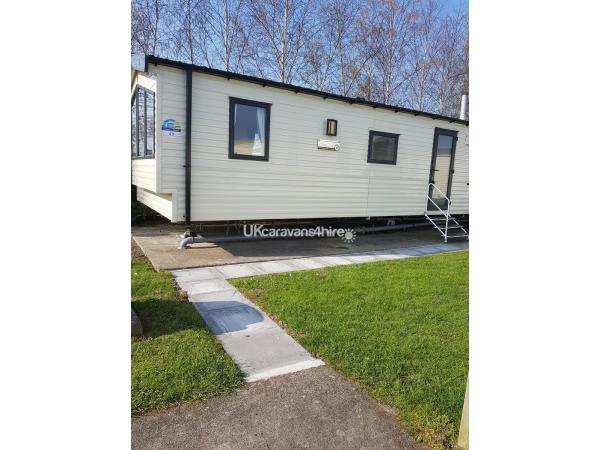 Additional Info: A 3 BEDROOM FAMILY SIZED CARAVAN WHICH IS NEARBY TO THE MAIN FISHING LAKE . 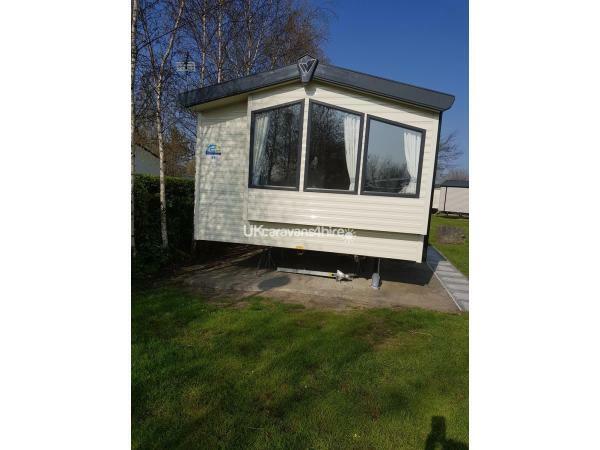 Our caravan is in a good position being close to the fishing lakes so ideal for your angling break! A few minutes walk to the main complex, swimming pools, restaurants and bars. 10 minutes walk to the promenade with it\'s sandy beach. A small patio area and a glimpse of the fishing lakes! 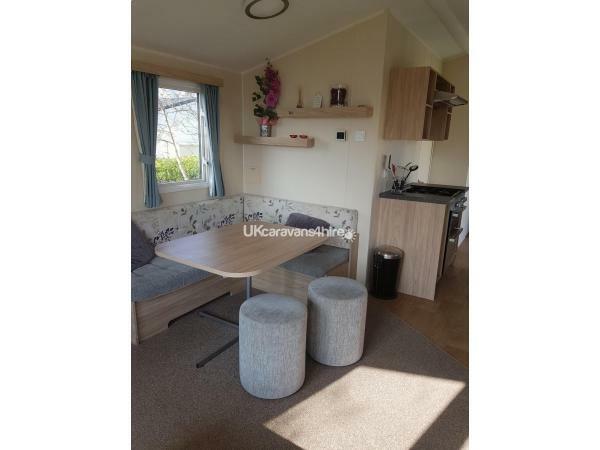 Large, open plan lounge area which has many homely, personal touches to make your stay really relaxing and comfortable, just as if it were your own home! Flat screen TV/DVD player . Plenty of comfortable seating on the wrap around seating .Gas fire for as and when required. Central heating also. Comfortable carpeting to floor. Large dining table and L shaped seating area and stools for times when you prefer to dine in. Carpet flooring. View over the fishing lakes! 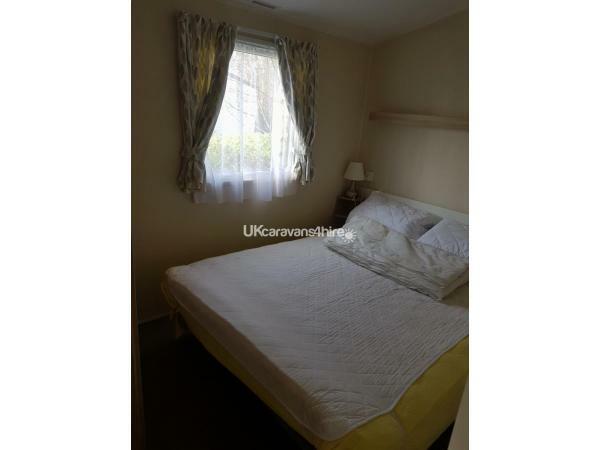 Double bed with lots of over bed storage.Duvets and pillows included. 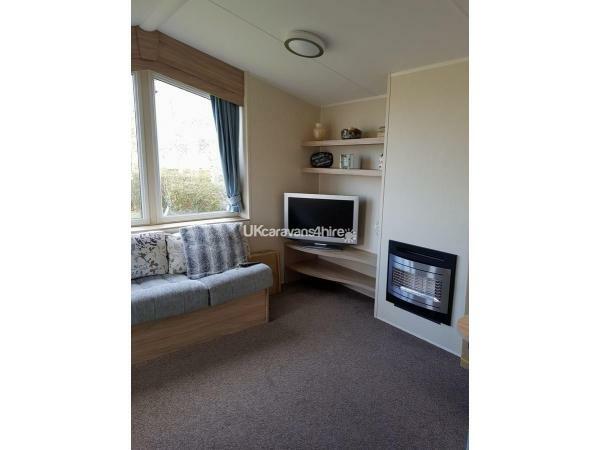 Bedside cabinets, large wardrobe, Carpet flooring. Central heating. 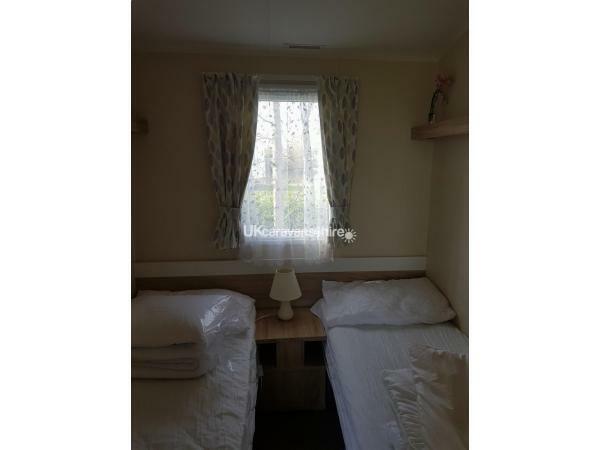 Twin single beds. Bedside table, wardrobe with coat hangers. Shelving with mirror over.Duvets and pillows included. Central heating. Carpet flooring. Twin single beds. Bedside table, wardrobe with coat hangers. Shelving with mirror over. bedside light. Central heating. Carpet flooring. 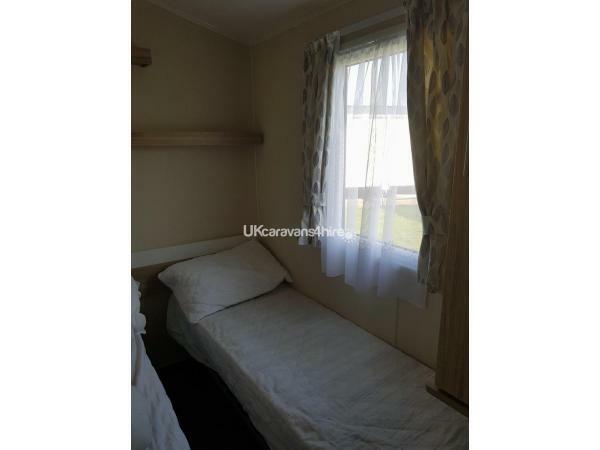 All duvets and pillows included. Cloakroom with W. C and hand basin. 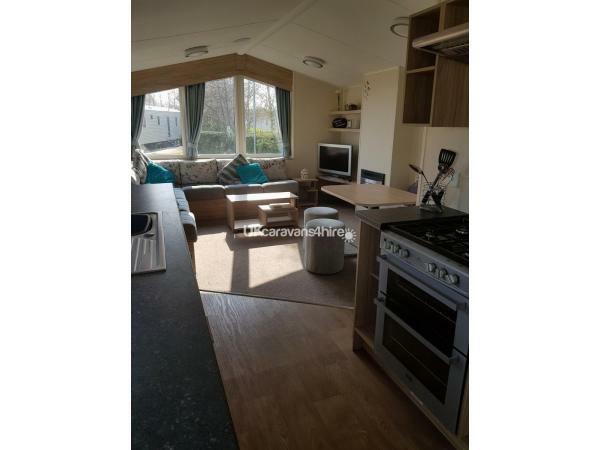 The area around the caravan is lawned with plenty of trees.small patio area and a glimpse of the fishing lakes with a gate next to caravan taking you straight to them!! Just 10 minutes walk from the main entertainment complex,swimming pools,restaurants and bars. 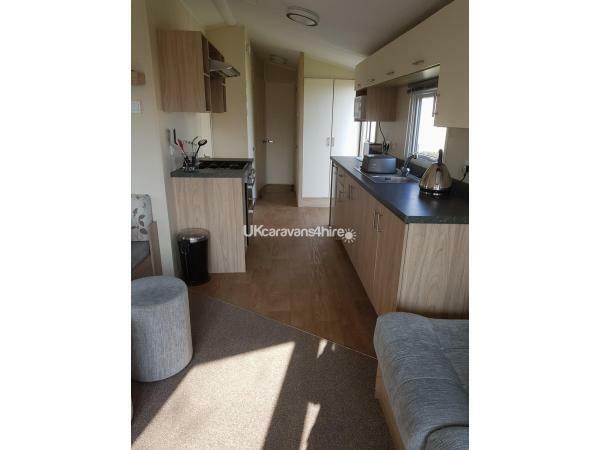 15 minutes walk to Burnham-on-Sea centre,the seafront and sandy beach.